Weaving: Straight twist, reverse twist, double direction twist. 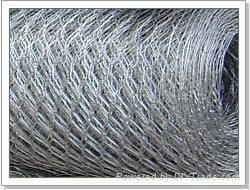 Galvanized after weaving, before weaving. 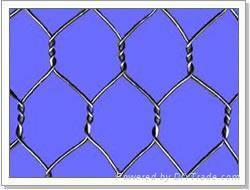 Hot dipped galvanized, electro galvanized or PVC coated. Application: Hexagonal wire netting is used in breeding of poultry, zoo fencing, protection of machinery, expressway fences, playground fences and road fences. It makes ideal materials for flood prevention and flood control in protecting and support seawall, hillside, road bridges, reservoir and other civil engineering in the form of mesh containers filed with stones.